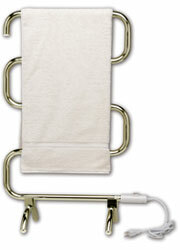 Add the benefit of warming and drying your towels without having to run the dryer. 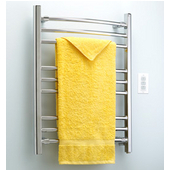 With a wide range of products to choose from, there's a towel warmer for every bathroom, cloakroom, kitchen, nursery, guest house, changing room, houseboat, hotel and all types of commercial and local applications. 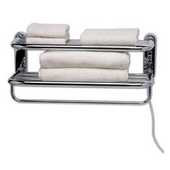 Constructed from a single tubular steel, These electric towel warmers have finishes & modern designs that go perfectly with any bathroom style. 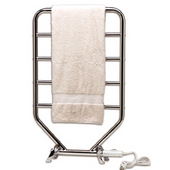 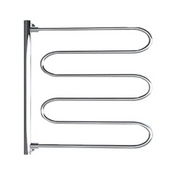 This collection of towel warmers are available as towel stands, towel racks or as towel shelves and can be hardwired or softwired.